Protect your plants with a pest fence. 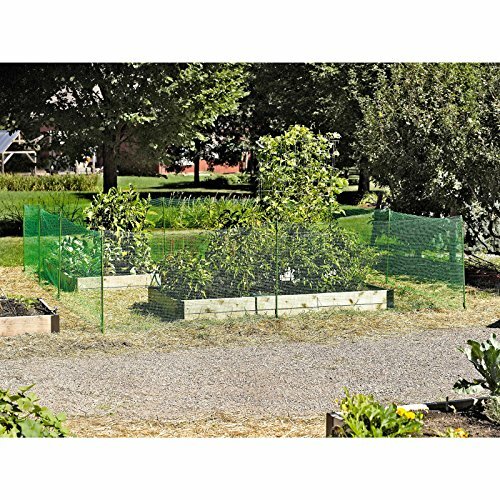 Soft polyethylene mesh and sturdy plastic poles provide a barrier around vulnerable plants. The 1/2″ polyethylene mesh is lightweight and durable. The solid plastic fence poles have pointed ends so they’re easy to push into the ground. Simply attach the mesh to the poles using the included easy-on, easy-off clips. Set includes 131 feet of 42″ high fencing, 16 poles and 48 clips. More fresh posts are coming soon.